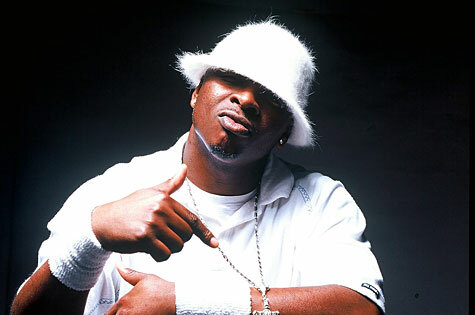 There aren't many rappers who enter the crowded field of gospel hip-hop who have achieved as much as Tico Hudson. Otherwise known as Khul Rhema (pronounced as Kool Ray-mah), the rapper was the founding member of the Grammy nominated group Ziklag Boyz. 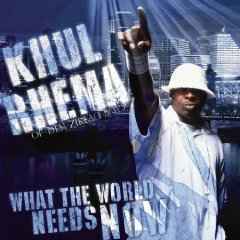 Khul's debut solo album ''What The World Needs Now' on his own label Powerhouse Productions was released in 2007. With a rap moniker that literally means “keeper of the word” in ancient Aramaic, his goal was to maintain the same party feel he’s known for while including a thread of God’s greatest commandment, to love Him with all our heart, mind, and soul and to love our neighbors as ourselves, throughout the entire project. And like most sold-out believers, God’s love is now something that Tico is intimately acquainted with, but it wasn’t always that way. Through a series of events that included dealing drugs, death threats, gang affiliation, and homelessness, Tico eventually accepted that the power of God could change his life. It is this acceptance that led Tico to the artistry that is admired by so many today. Khul's thoughts on Christian radio being ready for "Cruck" yet - "I believe that the listeners of Christian radio are ready for crunk, but radio isn't aware of that. I believe it to be common knowledge now that most Christian music fans are also consumers of mainstream music. They have Kirk, Yolanda, maybe even KiKi, Tye Tribbett and Smokie Norful - but when they want to hear crunk and hard-hitting rap music, they go out and get T.I., Lil' Wayne and Young Jeezy mainly because most Christian radio listeners don't know we exist. This, I believe, is because they have only been exposed to the secular version of this type of music that appeals to their souls. Christian rock flourishes as a result of competitive marketing and radio play dedicated to the Christian rock genre. Urban gospel suffers from a lack of the same. As a result, urban culture continues to suffer as the anecdote remains hidden. I say this because I believe that urban gospel artists have been given the ability to communicate the love and Gospel of Christ to a huge demographic called hip-hop in ways that no one else can. However, marketing resources such as promotion budgets, radio airplay and video rotation are scarce for us. I don't think all is lost - many powerful and influential people in the music industry are now campaigning and working diligently to see to it that urban gospel music receives its opportunity to reach the masses with the Gospel in a way that is relevant to the world's most dominant and influential subculture - hip-hop." "The vision God has given me goes well beyond creating beats and rhymes! And it's all purposed and designed to usher in souls into the Kingdom of God by providing quality music and entertainment! I was created by God to keep his children CRUNK!"